Personal transportation devices have gained lots of traction in recent years, and that growth is expected to continue for years to come. Electric scooters are one of the most popular nowadays, competing alongside bicycles, Segways, and skateboards. Scooters have evolved a lot over the years, but electrically powered scooters with seats are garnering the most attention as of late. The e-scooters, in particular, could be credited with the recent personal transportation craze. With the emergence of hoverboards, Segways, and electrically-powered unicycles, the electric scooter has gained even more attention. They are now one of the top choices for those considering personal transportation devices. One thing you should know before I dive any further is the fact that many of them come with rather low weight limits. Remember, many brands are designed primarily for kids, and these tend to have a low maximum load – typically less than 150 pounds. That is one of the most important things to look for when exploring which electric scooter models would be best for you. There is no point in purchasing a personal transportation device that can’t even carry your weight. 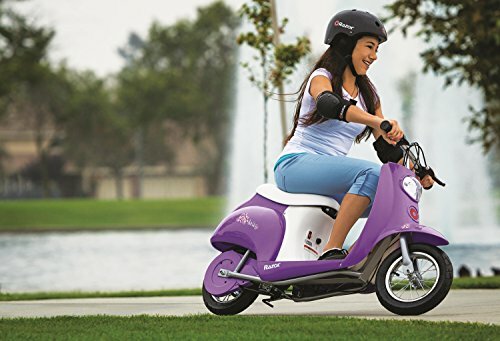 I will explore a few other things you should be looking at when purchasing a scooter in the buying guide. Once upon a time, scooters were reserved primarily for children, but that is no longer the case. Newer electrically powered options are a lot more than just toys for children to have fun with. They have evolved into a viable form of transportation for adults and children alike. You can thank recent computer tech, battery, and motor advancements for that. The same thing can be said about other self-balancing vehicles that are currently on the market. There are certain things that separate scooters from bicycles and other similar transportation devices. It comes down to a few basic things that all scooters have in common. For starters, when you are on a scooter, both of your feet are on a side deck. That is obviously different from bicycles, tricycles, or unicycles where you straddle the transportation device similarly to the way you would ride a horse. 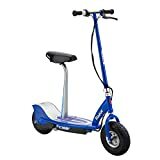 I could easily make an argument that the most common type of scooters over the years is the classic kick scooter. This device is the image that likely comes into your head when you think about scooters. 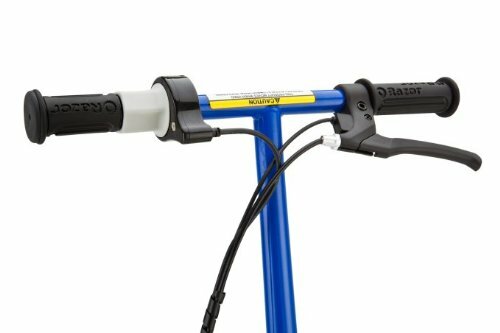 It does not come with a seat; instead, it comes with very high handlebars which allow you to comfortably control it while standing. You would typically generate momentum on one of these by kicking off the ground – hence the term kick scooter – but with the recent breakthroughs in electric motor technology, electrically-powered versions are now available on the market. These types of scooters are typically lightweight and foldable, making it easy to transport them from place to place. 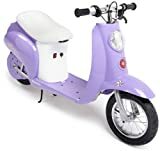 There are also kick scooter models that come with seats. The seats are typically high to allow you use the handlebars with ease. It doesn’t stop there though. There are other more loaded designs that make you start wondering if it’s still a scooter or some sort of mini motorcycle. Some of these beefed up models come with features like front and rear suspension systems, powerful 1000W rated motors, and huge pneumatic tires that allow them to operate on a wide range of terrains. These improved versions obviously come with matching price tags, but the performance you get out of them makes them worth every penny. Now, that doesn’t mean a loaded up e-scooter is the best option for everyone. For some people, the manually operated ones are good enough to get the job done. The third option is to go with sit-down and moped-inspired models. The latter come with pedals that allow you to control your speed, while the sit-down scooters are pretty much just electric versions of their gas-powered counterparts. As mentioned earlier, most scooters are not designed for adults. That is why they typically have a maximum allowable load of 150 pounds. Those that are designed for adults tend to have a maximum load that is somewhere in the 220-300 pound range. A few brands even exceed the 300-pound mark. Obviously, when you are shopping for a new scooter, it is extremely important that you get one that can support your weight and that of any other person who will be sharing it with you. Older electric scooter models tend to come with lead-acid batteries similar to what you would find inside your car, and that usually gives you around 40 minutes of operating time. Given how common lead-acid batteries are nowadays, e-scooter manufacturers are able to keep their prices low since these types of batteries are inexpensive. That does not mean you should be looking for devices that are powered by lead-acid batteries when purchasing a scooter. The reality is: lithium batteries are vastly superior to lead-acid in a number of ways. They require less time to charge, they are safer, lighter, and they store energy better. For example, a lead-acid battery normally takes somewhere around 10-12 hours to be fully charged, while a lithium battery can be charged in a few hours. Pretty much all of your modern battery-powered devices like smartphones and laptops come with lithium batteries. Some scooters that come with lead-acid batteries can be upgraded to lithium batteries, so if you end up with a lead-acid powered battery, you usually have the option to upgrade to lithium in the future. Try sticking to only popular brands of lithium batteries since these will surely meet all the safety requirements. Here is another important spec you should be paying close attention to when shopping for a new personal transporter. You need to know how much distance you can cover with a full charge, that way you know if that particular electric scooter model works for what you have in mind. You always want to make sure that you have enough charge to make it back home whenever you go for a trip on your vehicle. One thing that can make it tricky to figure out how far you can get on a scooter is the fact that the incline of the terrain you are traveling on and your bodyweight affects the estimated range of each transporter. Manufacturers have a tendency to be optimistic when it comes to reporting the specs of their products. The top speed is equally as important. Sure, if you only plan to use these on bike paths and sidewalks, you probably do not need one of the faster models available on the market. However, if you plan to put your vehicle on the road, you generally want something that will be able to keep up with other vehicles. 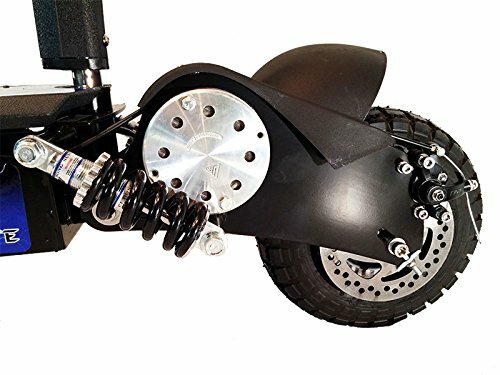 Now that I have gone over the main things to look out for when shopping for a seated scooter, it’s time to explore the top models on the market today. 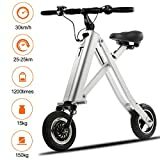 Best electric scooter with seat for short distances for anyone that can live with its long charging time. 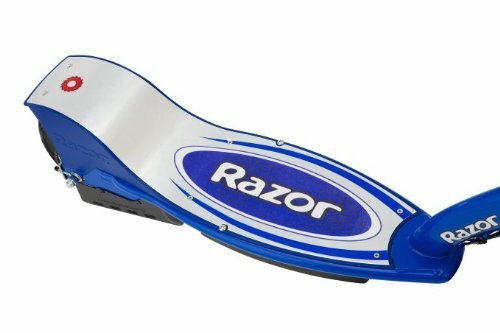 Razor is one of the most recognized brand names in the personal transporter industry. The EcoSmart Metro was actually originally designed as a personal transport for the company’s president to get around the production area. That’s one thing that differentiates this model from other Razor products. It is designed to serve primarily as an economical way to handle daily commutes, rather than for fun. It’s ideal for mid to short distances. The Metro is powered by three 12v lead-acid batteries that propel a 500W motor. That is enough power to get you up to a speed of 16-20 miles per hour. To get it started, you simply give it a push start while pressing the throttle. The handles come with two levers that allow you to control it. The lever on the left side activates the brakes, while the one on the right is used to control speed. Maneuvering this electric scooter is virtually no different than turning a bike, which is great. The most obvious downside though is the charge time, which is 12 hours—longer than I would have liked. The EcoSmart Metro has an attractive design. 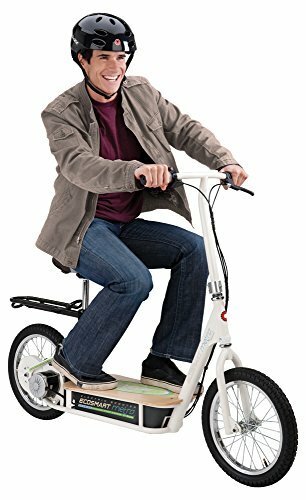 It looks like a cross between a bicycle and a kick scooter. That is not really that surprising given the fact Razor produces both types of devices. It comes in only one color: white with a deck that is made out of bamboo. 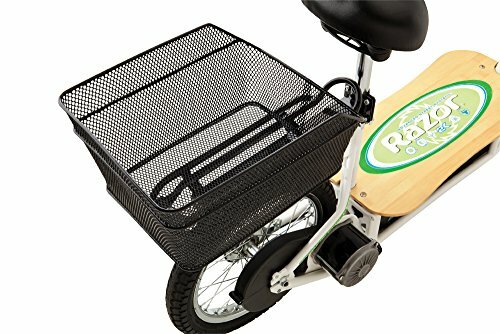 There were a comfortable seat and a storage basket that I like to see on e-scooters. I like to use them for quick errands like a stop at the grocery store. It is nice not to have to store things in a backpack when riding a scooter. One thing I did not particularly care for was the fact there was no way to tell how fast I was going, no light for riding at night, or a horn. The only kind of indicator you will find on this device is a battery power level indicator. That allowed me to always make sure I had enough juice to get to my destination and make it back home. Something that I noticed during my test drives was that the range seemed to vary depending on the type of terrain I was testing it on. 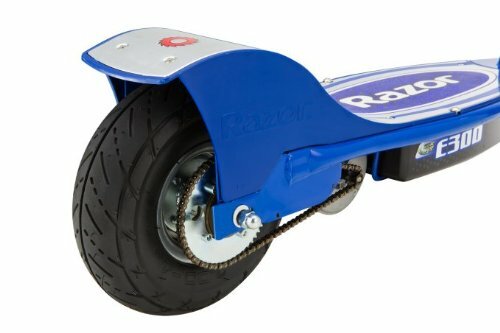 The Razor EcoSmart Metro Electric Scooter comes with two 16-inch inflatable tires that allow it to operate properly on a wide range of surfaces. Unlike some of the more suited-up options, this personal transporter does not have a suspension system so the ride did get bumpy at times. While the Metro has a pretty decent top speed for an e-scooter, the best range I managed to get out of a full charge was about 10 miles. That is about half the range of most of the top leading personal transporters. All in all, the Metro is a great choice for anyone who is looking for a fast vehicle to travel short distances. The charging time is longer than what people like me would want to deal with, but if you don’t mind charging it overnight after each use, that will not be an issue. Innovative light-weight electric scooter with a hefty price tag and great performance. Now here is a personal transportation device that will have you driving your car a lot less. It offers virtually everything you would want in an electric scooter with seat. It’s super easy to use thanks to its pragmatic design for people who have little experience with scooters. It comes with a strong metal frame that allows it to carry kids and adults alike, and a suspension system that absorbs the vibration and shocks that come with riding. When you are done with it, it can easily be folded, stored, and transported. When it is time to use it again, unfolding it is just as easy. The BuySevenSide performs impressively on the road without question. It has a top speed of 18 miles per hour thanks to the 3.V battery that comes standard. A full charge has a 28-mile range, more than enough to cover a short commute to work, school, or to a local store. Even if you forget to charge it before heading to work, you will probably have enough power to get there and back again. If you aren’t sure, a quick top up won’t take nearly as long as a full charge. After riding around for a day, I was pleased to find out that it only took somewhere between 4-6 hours to fully recharge the battery. The batteries pass all required safety certifications so there is no risk of overheating. What I found most surprising while testing the BuySevenSide was how light it really was. The entire thing only weighs around 30 pounds. That is light enough for even children to carry around. 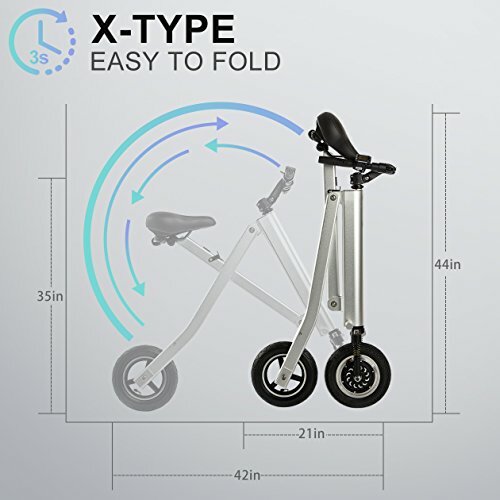 Factor that in with how easy it is to fold and what you have is one of the easiest electric scooters for anyone to transport from place to place. The suspension system works like a charm. I could barely feel any vibration or shocks while riding. The one-year warranty that comes with this e-scooter and the two-year warranty that comes with the battery is an added bonus. That lets you know how confident its manufacturers are that you will absolutely love it. 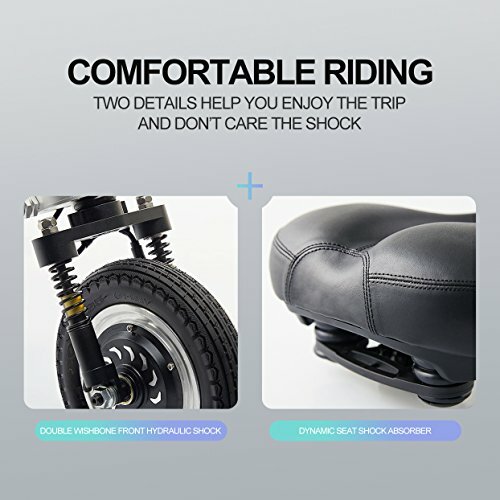 You will have a hard time finding an electric scooter with seat that performs better than the BuySevenSide. It’s an excellent option for adults and kids alike as it has a very high maximum load capacity while being light enough for a child to transport it. I had no problems folding or unfolding it as I pleased, which made it extremely easy to store in the tiniest spaces. The BuySevenSide is highly priced compared to some of the other personal transporters on the market right now, but, given its impressive features, that was not much of a shock. The old saying, ‘you get what you pay for’ rings true here. Fast and powerful electric scooter with a top speed that may be too high for kids. The Super 36v Turbo is one of the more impressive electric scooters with seat on the market. I was certainly pleased with it during my test runs. It’s loaded with all sorts of features that differentiate it from many of the other electric scooter brands on the market. One of the first things I noticed while reviewing this scooter were the heavy duty chains and sprockets. The extra wide tires and dual rear suspension also caught my eye. It comes with a Super Turbo 1000W motor that allows it to reach speeds as high as 26 miles per hour. This powerful motor did more than just allow me to reach impressive speeds; it also gave me lots of riding time between each charge, which is a huge bonus for me because I’m often very busy which can occasionally lead to forgetfulness. So not having to charge it ASAP all the time is great. 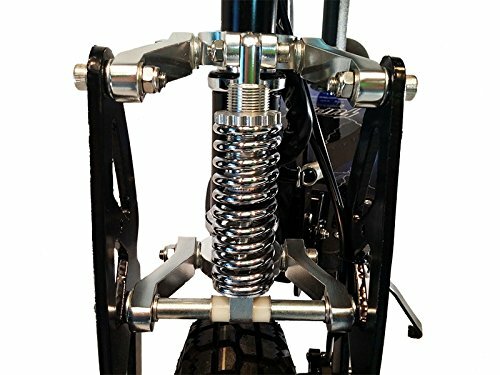 The rear shocks work exactly as they are designed to. Rides on this device were noticeably more comfortable than rides I have had on some of its competitors. Despite the tough design and appearance of this personal transporter that is held together with stainless steel bolts and nuts, the Super Turbo can be easily folded and stored or transported. 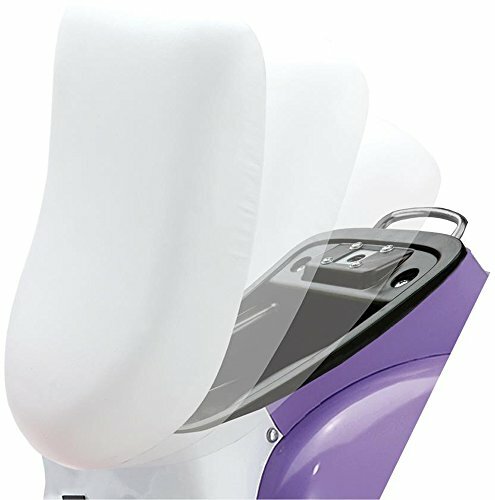 The seat it comes with is quite comfortable, and it can be easily removed and replaced with a custom one if you want. 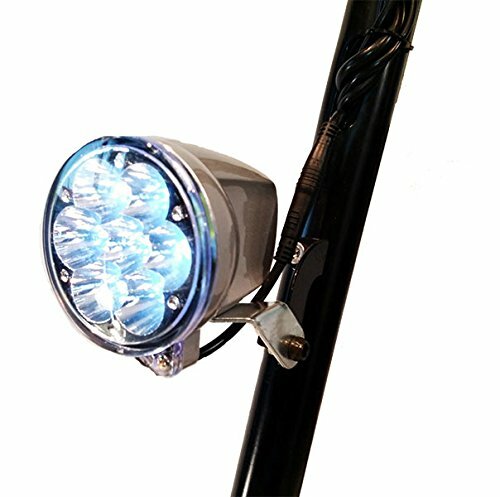 The LED light on the handles was thoughtful on the manufacturer’s part as it allowed me to continue riding around safely after dark. The braking system made me feel safer when I was on the Super Turbo. Unlike the Eco-Smart which only comes with rear brakes, the Turbo comes with front and rear brakes, which gave significantly improved braking power. It’s hard to dislike the simplicity of this device. All parts are designed for easy removal and replacement. You won’t require more than a basic toolkit if the need to make repairs or upgrades ever arises. It is hard not to have a positive experience when you ride the Super Turbo. It’s an excellent way for kids to get around the neighborhood or to and from school, and it’s a practical mode of transportation for adults given its range. The only glaring weakness it has is the fact that it is not waterproof which is understandable given how affordably priced this e-scooter is. Good all-round electric scooter with seat that gets the job done but lacks the performance figures of pricier models. The E300S is the largest member of Razor’s electric scooter lineup. It comes with a larger deck, tires, and frame than its predecessors, making it a great option for teens and adults. It is powered by a quiet electric motor that allowed me to reach speeds as high as 15 miles per hour during my test drives. It’s an excellent scooter for everyday use like commuting to work or traveling around campus. It has a heavy-duty design that allows it to absorb all the bumps and impacts it encounters during your travels. The E300S can be easily reconfigured for a standing ride if that is your preference. I only had to take off four screws to remove the seat and post. 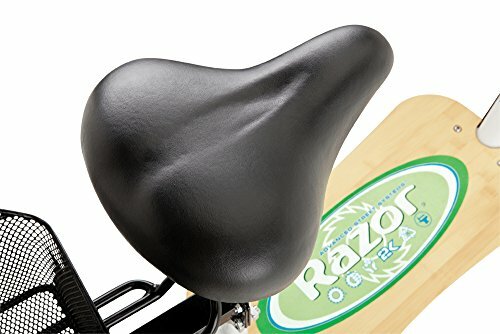 I already knew to expect creative designs, solid performance, and quality workmanship on Razor products, so none of those came as a surprise to me. What was surprising was how much power could be generated by the 280-watt motor that comes standard. This is combined with a chain-driven gear system that allows the wheels to handle turns without making the motor work harder. 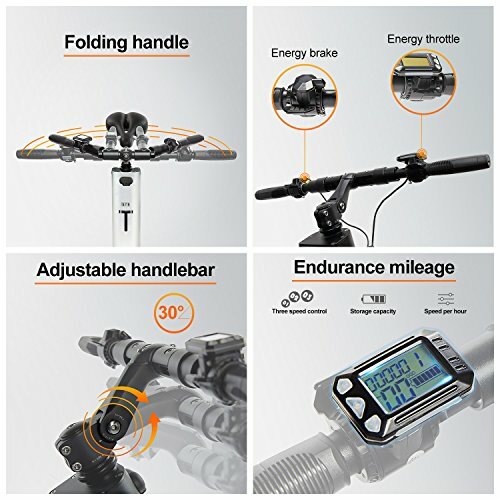 I controlled the speed with the twist-grip hand throttle that is on the right side of the handlebar, similarly to the way you would control the throttle on a motorcycle. I was glad to find out that I did not have to bother with operating some sort of clutch or gear system when riding this device. It comes with only rear brakes which are controlled by a lever on the left side of the handlebar. Overall, I found everything about the E300S to be very sturdy. Nothing felt cheaply made. The maximum weight limit being only 220 pounds was not an issue me. I was able to get close to 12 miles on each full charge. I was not as impressed when it came to handling inclines with this unit. Sure, it always managed to make it to the top of the incline, but there was always a considerable loss of speed. The batteries also seemed to lose their charge faster during my incline testing. The 24V batteries provide about 40 minutes of continuous use which gets you close to 12 miles per full charge depending on your weight. It comes with 10-inch pneumatic tires with shallow treads that perform best on hard surfaces. Razor’s E300S gives you a lot at an affordable price. It is not the best performing scooter on the market by any means, but it is a very capable personal transporter. Think of the E300S as the Honda Accord of electric scooters. It is good enough to get the job done for most missions. The main issues I had with it was the long time it took to charge the batteries and the fact that the tires don’t perform well on soft surfaces. 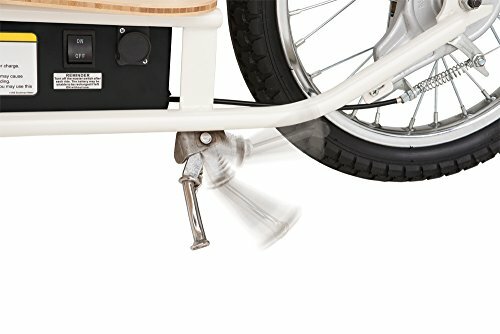 If you don’t plan to ride on sand, gravel, or grassy surfaces, you will not have any complaints about this scooter as long as you remember to charge it every night. 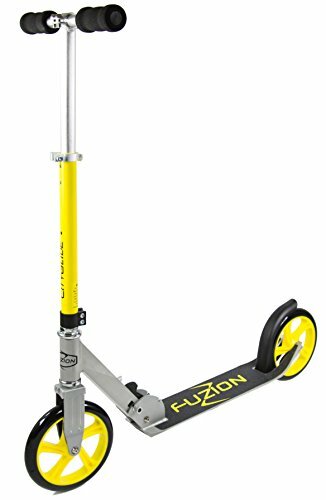 Great-looking and fun e-scooter primarily geared towards children but also capable of transporting light adults. Here’s an e-scooter that was made to offer high performance for the little ones. It has a very aesthetically pleasing design that made me wish there was an adult version available. 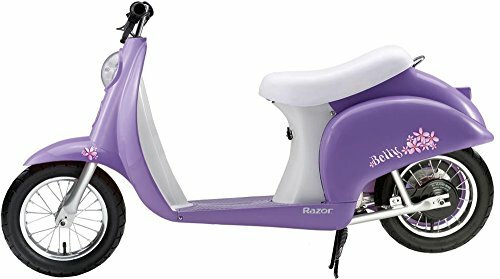 It looks like a recent model gas powered scooter, so your kid can cruise around in style. It holds enough juice for your kids to handle short commutes, covering as much as 12 miles on each full charge. That’s because of the chain-driven electric motor it comes with that efficiently transfers power to the wheels. It comes with large pneumatic tires that provide a surprisingly comfortable ride. The Pocket Mod comes with a 24-volt lead-acid battery that is actually pretty good for the battery type at 12 miles max distance. I was a bit disappointed when I noticed that a full battery can only deliver around 45 minutes of continuous riding since that meant I could cover larger distances by reducing my speed. As is often the case with lead-acid batteries, it takes about 12 hours to get them fully charged. I did not have any issues with the motor. I reached its top speed of 15 miles per hour rather easily, but I did feel like the motor combined with the battery made this personal transporter somewhat heavy. I really liked the solid steel frame that makes it possible for anyone who weighs less than 170 pounds to operate one of these, despite the fact that it’s designed for kids. It comes with a twist-grip throttle, which completes the motorcycle feel this electric scooter has. The 12-inch tires on this unit provided a comfortable ride on a wide range of surfaces, not just smooth pavement. A really cool feature that I also liked was the storage space under the seat. That’s way cooler than having a basket and it allows kids to transport their books or other belongings while they ride. It also allows their stuff to be protected while it is parked in case they want to leave their things inside. With a basket they would just be out in the open. It is hard not to fall in love with the Pocket Mod given its slick design and affordable price. It is a good way to get your kids used to operate devices that are more complicated than a bicycle. It only takes 15 minutes or less to assemble this scooter and replacing parts is just as easy. 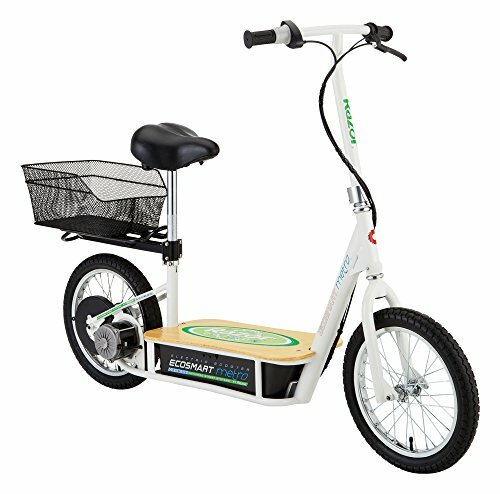 If your kids have been bugging you about getting an electric scooter with seat, this is one of the best options on the market for them. If you are on the hunt for the best electric scooter with seat, it doesn’t get any better than the five models listed above. Each has its perks and downsides, so the first thing you need to do is figure out exactly what you want to get out of your personal transporter. Once you know what you want, making a decision about which one of the e-scooters listed above will be best for you and your loved ones will be much easier. Thrill-seekers will surely love the insanely fast Super 36v Turbo 1000-Elite. Commuters looking for a light-weight electric scooter with seat will appreciate BuySevenSide's minimalist design that brings down its weight to 33 pounds. 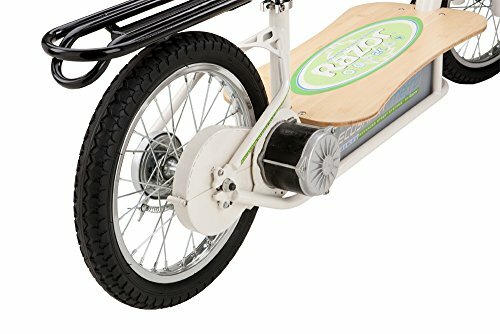 Finally, if you are on a budget, the Razor electric scooters with integrated seats will get you around town reliably and don’t cost and arm and a leg.